Right now you have a chance to win a free sample of Clarins Body Lift Cellulite Cream. 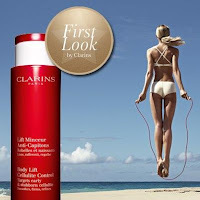 Click here to like Clarins on facebook and enter for your chance to win 1 of 6000 FREE Samples of Clarins Body Lift Cellulite Cream! Please note they are having technical issues right now but they are aware of it and you have till the end of the month to sign up!